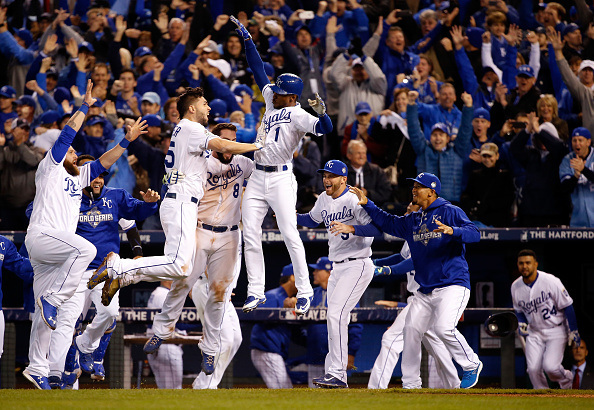 during Game One of the 2015 World Series at Kauffman Stadium on October 27, 2015 in Kansas City, Missouri. The current world series between the Kansas City Royals and New York Mets reminded me of this story. When I went to school in KC, a friend of mine at a Royals home game met a Yankees player’s wife. In conversation she said “we like to come to Kansas City when we want to get out of the city.” 🙂 Even so, go Royals!